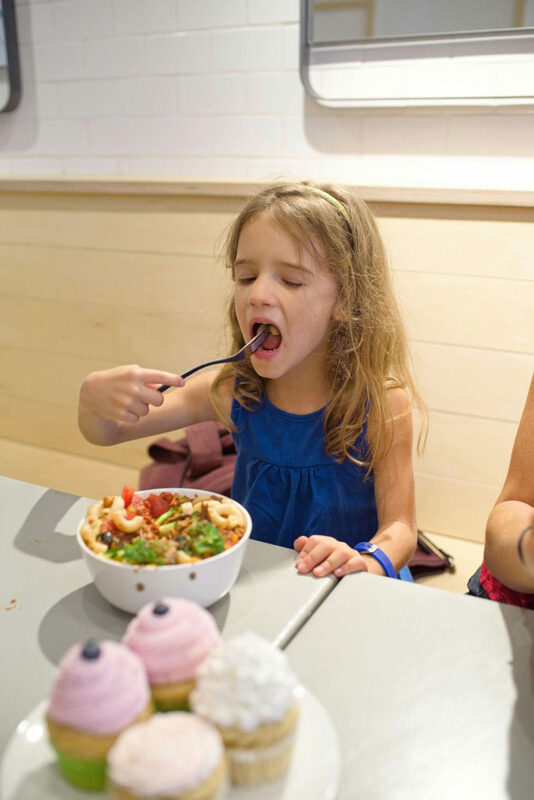 Family-Friendly Restaurant Review: Hype Food Co.
We live in a city that is oozing with things to do and see, yet we never get the chance to do or see any of it outside our own little bubble. So Keith and I made it our mission to take the girls exploring this summer. Because all of our weekends filled up quickly, we decided to take a week off to do some family bonding and tackle some household chores. Of course, we didn’t touch the latter (our garage is still unorganized, and the bathroom is still unpainted) but we DID have some fun. We went to Centreville with friends visiting from Ottawa, and let the kids ride their little hearts out. The highlight: seeing Keith whip around in a teacup with the girls in this precious video (I think Sienna has something in her eye, poor girl). We scooted through parts of Tommy Thompson Park in the rain. We even braved the Toronto Zoo with friends who also have 3 children (6 kids vs. 4 adults = nuts!). And we made a visit to Hype Food Co. which was a treat. As you might know, I looooove food. Trying new restaurants is one of my favourite things to do. Yet we don’t do it enough because eating out with kids can be HARD WORK. 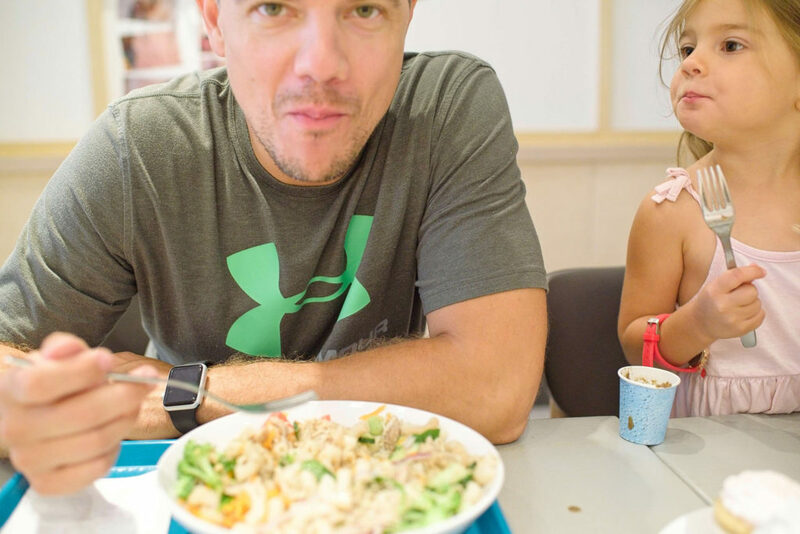 By the time we arrive at a restaurant our kids are famished. 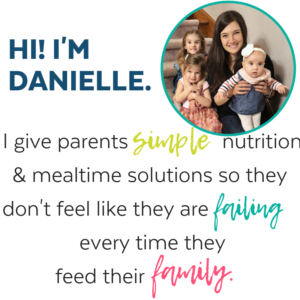 I get ‘hangry’ too, so I know how hard it is for little ones to have to wait for food. Plus options at restaurants aren’t always kid-friendly. And if they ARE kid-friendly they are not balanced (a lot of refined carbs, sugar, yet little protein and whole foods). Thankfully my picky eaters are becoming great eaters. But for many families, options are too limited…so they end up with hungry kids who don’t want to eat. Asking a child to sit at the table and patiently wait for their chicken nuggets is no small task. Children aren’t built to sit still for more than a few minutes. Especially when they aren’t entertained. Hence the trend of kids playing on iPhones and iPads at restaurants as an attempt to keep everyone happy (and quiet). 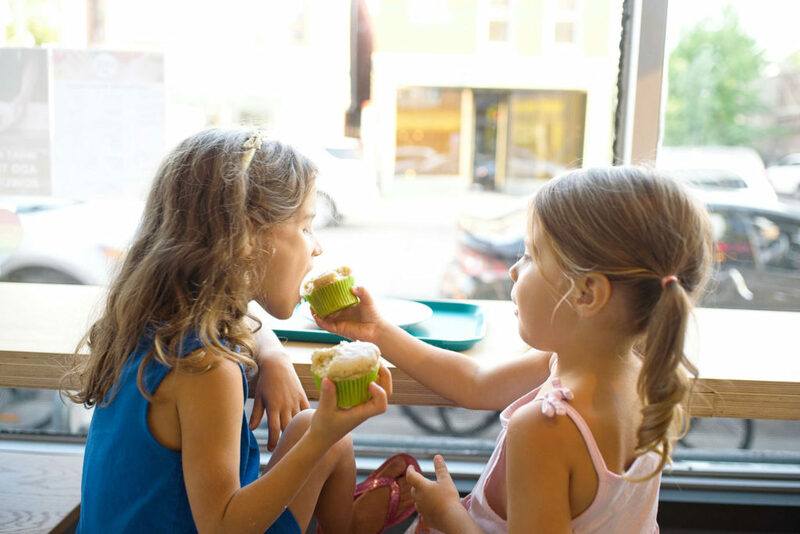 Many kids also have allergies or intolerances. 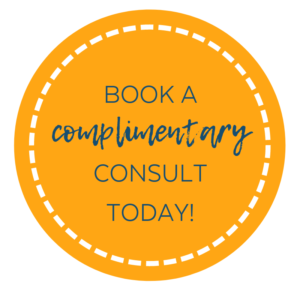 There is a growing population of children (and people in general) who struggle with food allergies and sensitivities. So there’s the nuisance of eating out with picky, bored and hangry kids. Then there’s the stress of finding food that’s safe for allergic kids. Or…you may just be like us, with dietary preferences but no noted allergies. For instance, we try to limit gluten and dairy but that can be challenging when eating out. 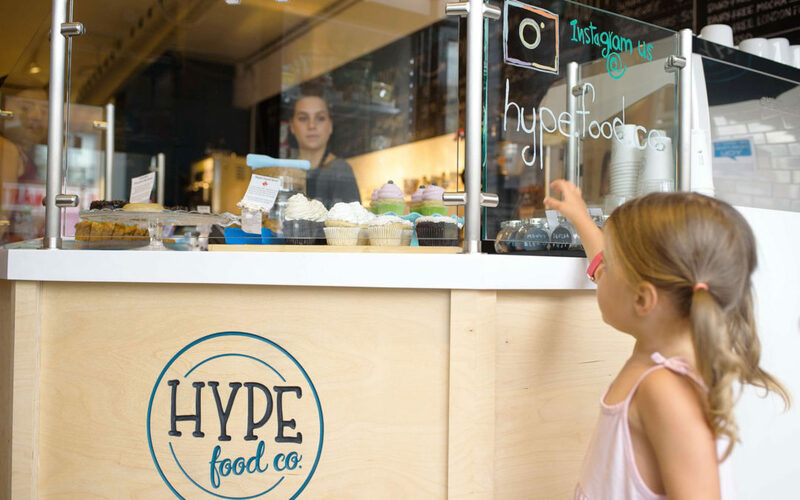 Well, needless to say, when parents learned that I was scoping out and reviewing family-friendly restaurants, I was asked to check out a place called Hype Food Co.
What’s all the hype about Hype Food Co.? 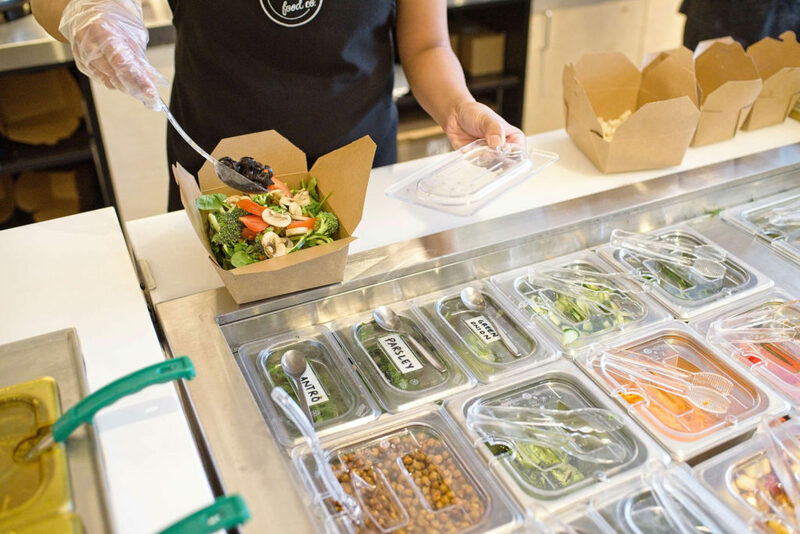 Hype Food Co. is a healthy fast-food spot that you can feel good taking your family to. 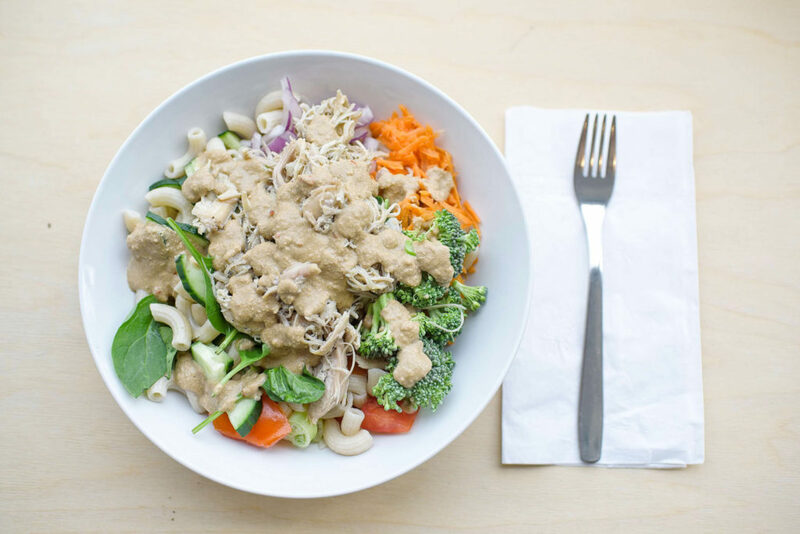 With their “make-your-own” approach to salad, pasta, and rice bowls, everyone is happy. 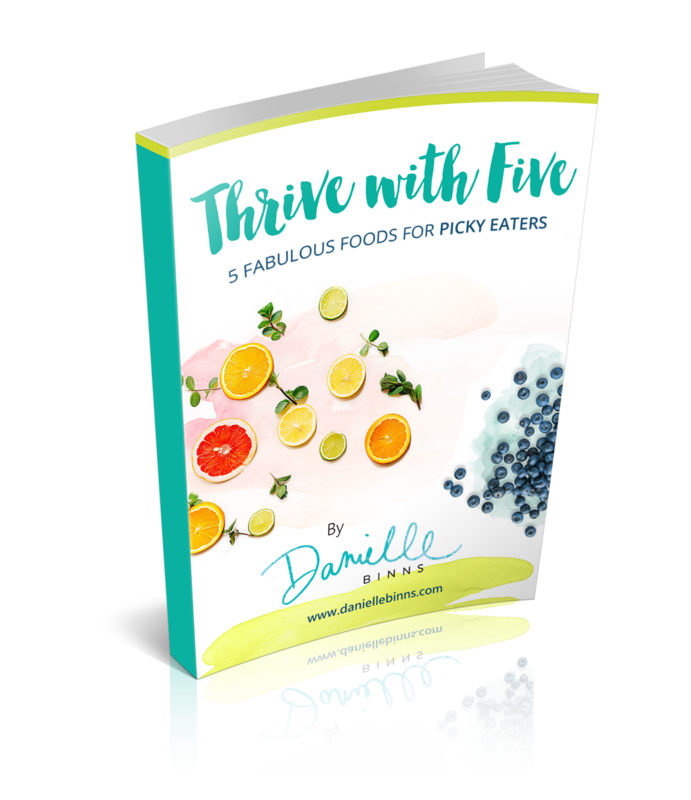 The added perk that is missed by most restaurants…they are allergen-free and meticulous about making sure virtually every food trigger can be accommodated. 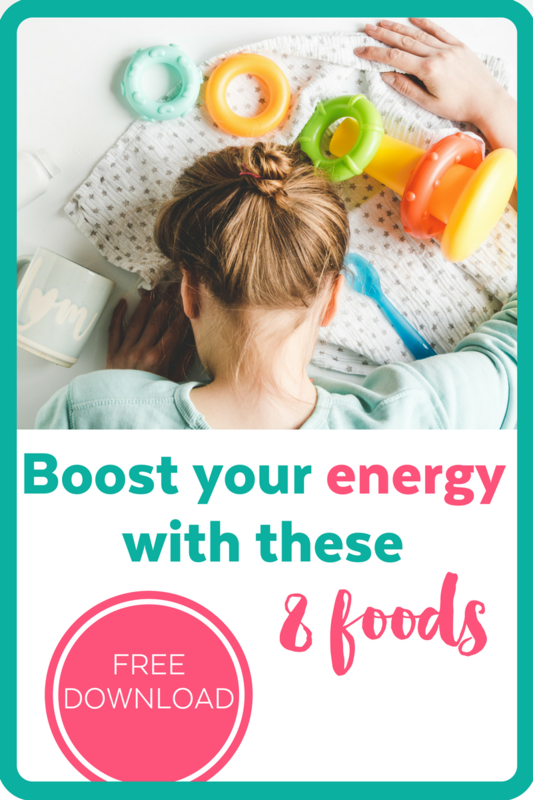 I often talk about how and why our kids need a sense of control around food in order to become better eaters. Hype Food Co. definitely helps you do that. The girls loved that THEY could choose their toppings and sauce. And they could SEE what they were picking. No surprises when it gets to the table. The customization is so key with families as everyone has their preferences. Especially picky eaters. Even though we were all eating at the same place. We were all content being able to enjoy our own creations based on our different tastes. Pauline and Matt are parents of 3 littles like ourselves, and they clearly get it. They’ve done a great job of making their spacious eatery a family-friendly one. Strollers are a nuisance, as are car seats. Yet they are also family necessities and at this stage in our lives, we don’t go anywhere without them. So whether we walk into a restaurant or not is often dictated by their space for these nuisances / necessities. Hype Food Co. has a ramp at their front door so you can easily and safely pull in your kiddos. And they are right at the door helping you out and in. 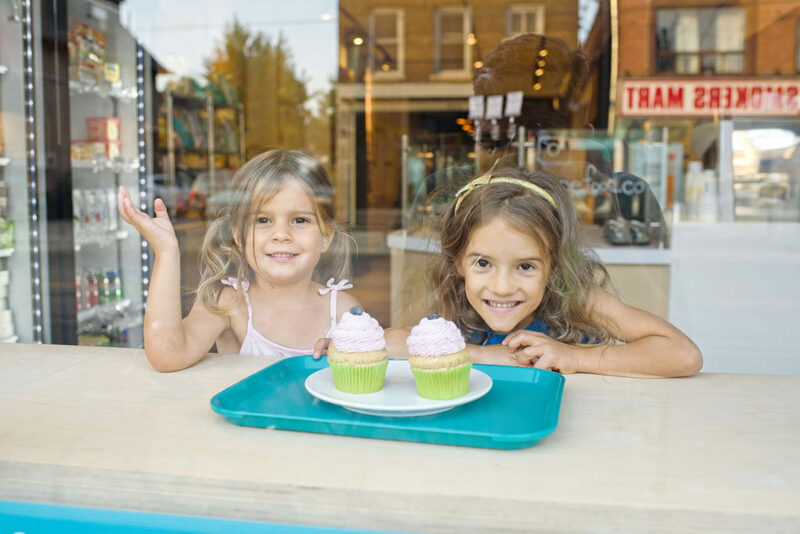 Once you’re inside and have finished drooling at their beautiful desserts, you’ll find space to tuck away that stroller. Forget kid-friendly! 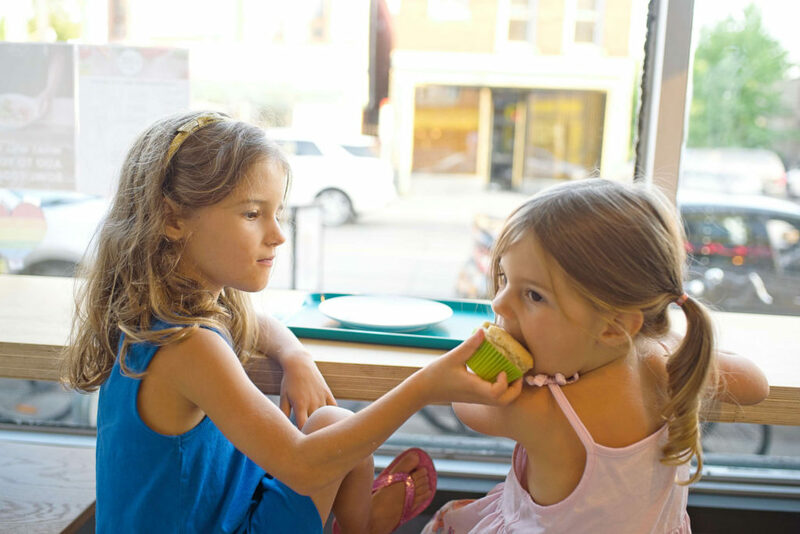 Hype Food Co. is also parent-friendly. 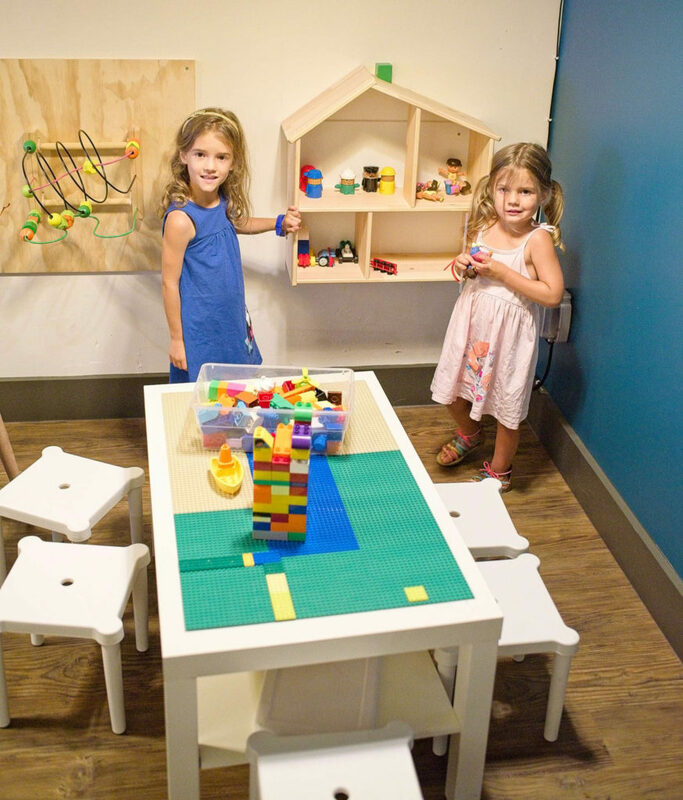 Our girls quickly discovered the play space at the back of the restaurant with whiteboards and toys where they occupied themselves until the food landed on the table. And when they were done eating, they headed right back there. Keith and I actually managed to have a long-overdue conversation about taking a vacation this winter. We’ve been waffling between a cruise with the family, and a solo trip (just the two of us and the baby). So while the girls played with Dora and My Little Pony, we assessed our options. If you have any family favourite vacation spots, please do share them in the comments. 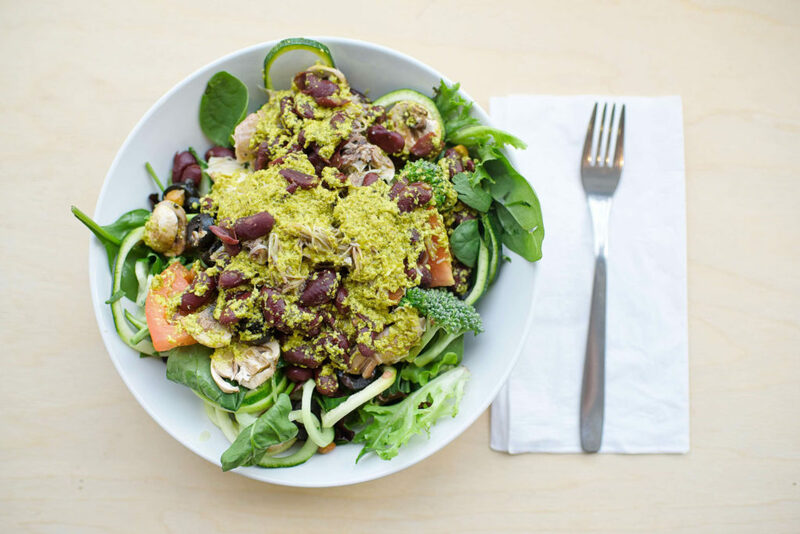 My order: Salad/zucchini noodles + chicken + kidney beans + every veggie they had + Green Coconut Curry. I know – coconut curry on lettuce sounds like an odd combination, but it worked! If fact, I literally drank the remaining sauce directly from the bowl. It had a little kick so not sure the girls would have gone for it, but definitely the kind of flavour I like in my food. I also liked that I could ask for an extra scoop or two of a topping with no grimaces. Keith’s order: Rice macaroni + chicken + select veggies + Sunflower Satay sauce. Unlike his wife, Keith isn’t doesn’t love complex dishes with too much going on. He’s simple guy when it comes to food – simple flavours, not a lot of mixed textures, and not a lot of sauce. (clearly I have a big picky eater on my hands!). So Hype Food Co. was right up his alley. He could choose how many toppings and opted for little sauce. And he polished it off. Win #1! 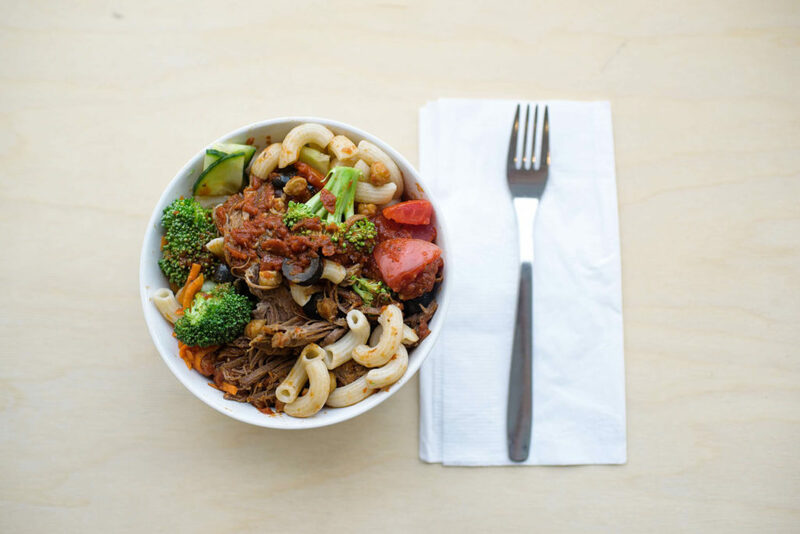 Sienna’s order: Rice macaroni + beef + carrots, tomatoes, olives, broccoli, cucumbers +Marinara Sauce. At first she picked through to get the pasta (expected). And once she warmed up to the bowl of mixed toppings she ate her way through half of the bowl. Loved that there was enough for leftovers the next day, which we took to the Zoo! (Although I find that leftover rice pastas all tend to get a little mushy). Naomi’s order: Rice macaroni +chicken + carrots, tomatoes, olives, mushrooms, broccoli, cucumbers + Mushroom and Black Pepper Gravy/Marinara Sauce blend. This girl loves her mushrooms, so the mushroom gravy plus mushroom toppings were a hit. While Naomi ate a bit of everything, she did avoid the raw broccoli (she’s partial to steamed or roasted broccoli). Between all of us, we tried the chicken and beef. 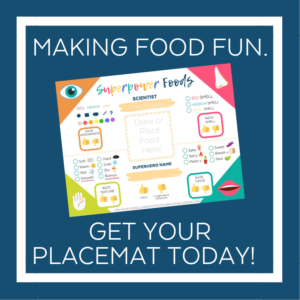 Both have a pulled texture which made them very easy to eat for the kids. Not to mention delicious! Even Mackenzie (9 months old) went to town sampling the chicken from our bowls. It’s the first thing we saw when we walked in, and the last thing we saw when we left Hype Food Co. Their desserts are beautifully made and there’s a good variety for any sweet tooth. The Binns’ family went all out on cupcakes for this trip (yes we will be back!) 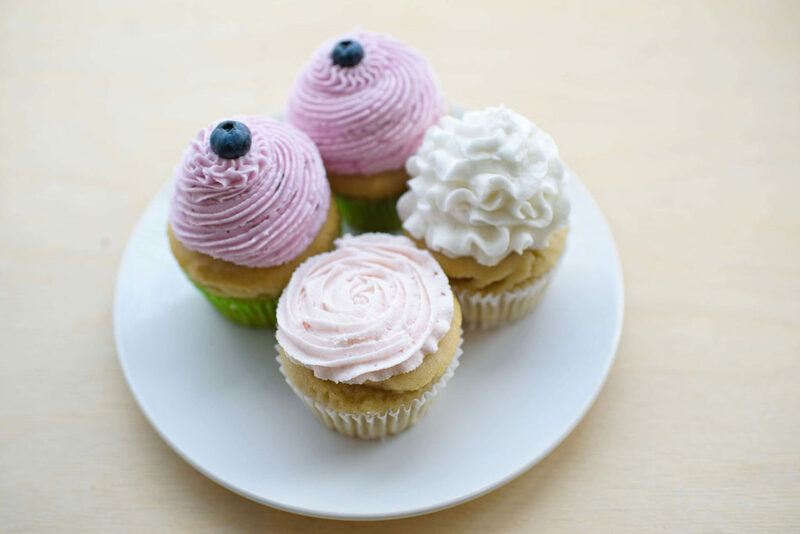 from the Lemon Blueberry for the girls, Strawberry Vanilla for me, and a plain ol’ Vanilla for Keith. No leftovers this time! We’re usually hard-pressed to find a dessert on any menu that caters to our gluten-free / dairy-free preferences, so it was nice not having to make accommodations here. 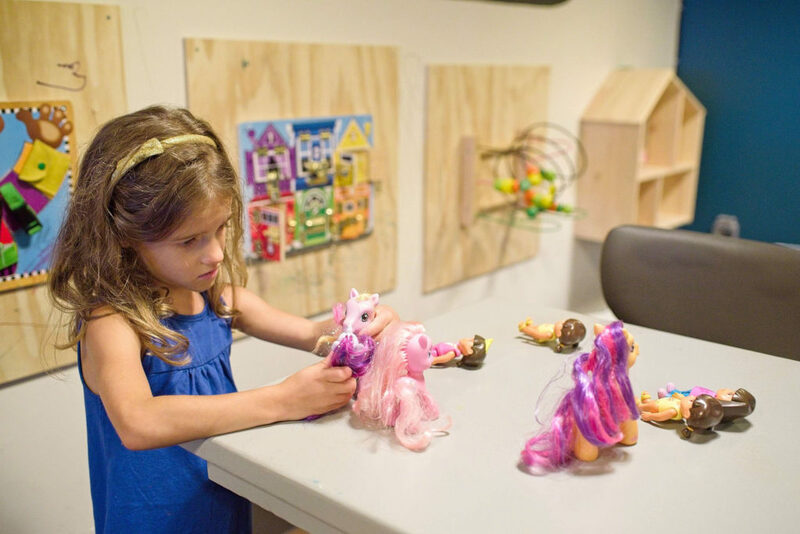 Thanks to Hype Food Co. for creating a place where families can feed their hungry kids fast…and keep their antsy children entertained….and provide safe non-allergenic foods for their sensitive kids. 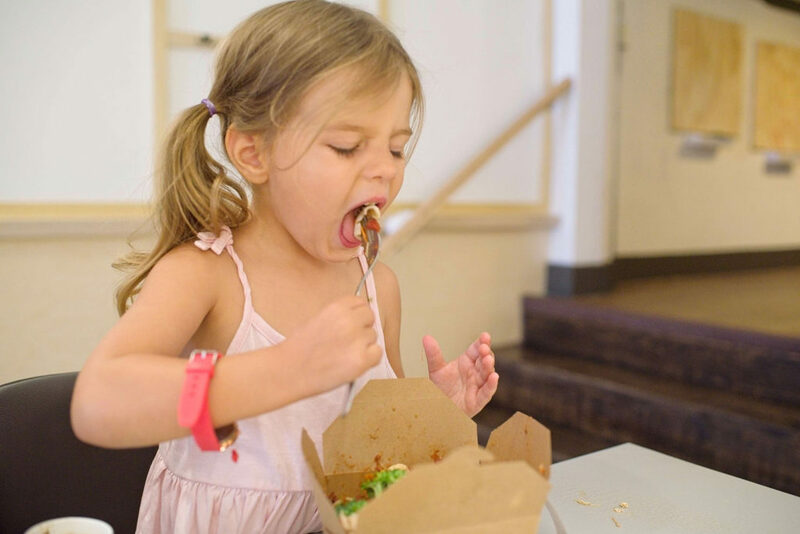 More family-friendly (and nutritionist-approved) restaurant reviews coming soon right here!